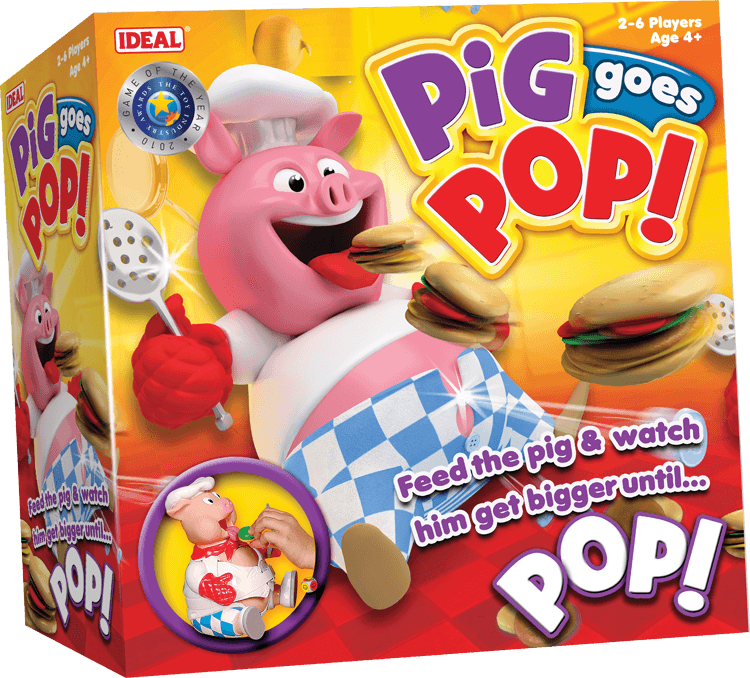 Feed the pig and watch him get bigger until… POP! 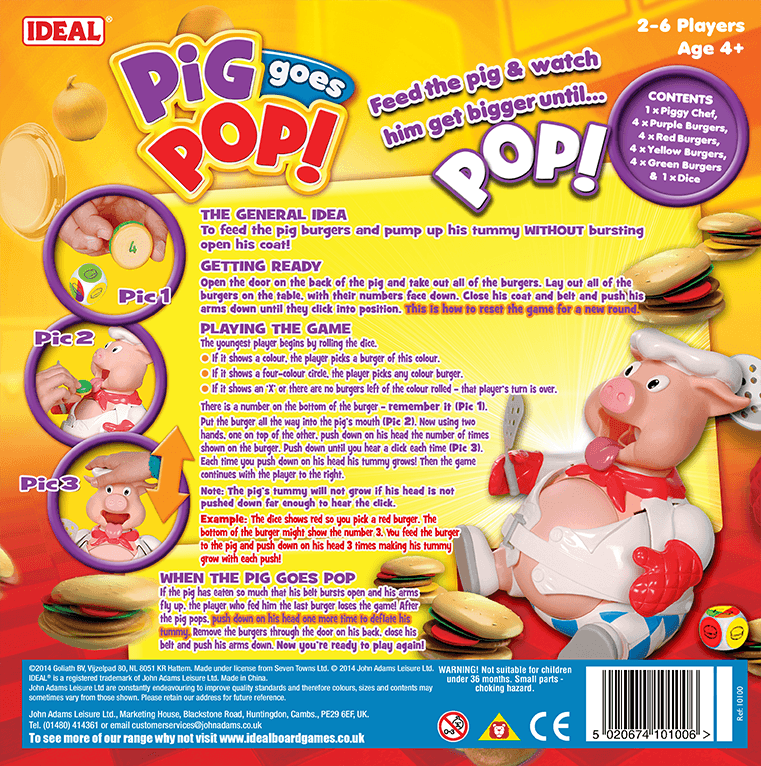 Roll the dice and choose a burger to feed the pig! 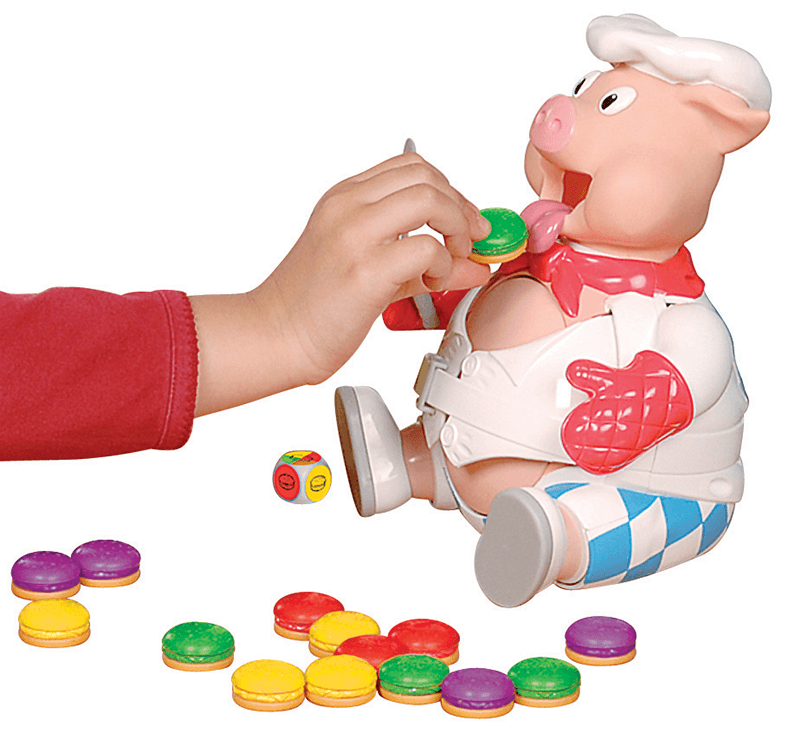 Press down on his hat to pump up his tummy, but don’t make his coat burst open! 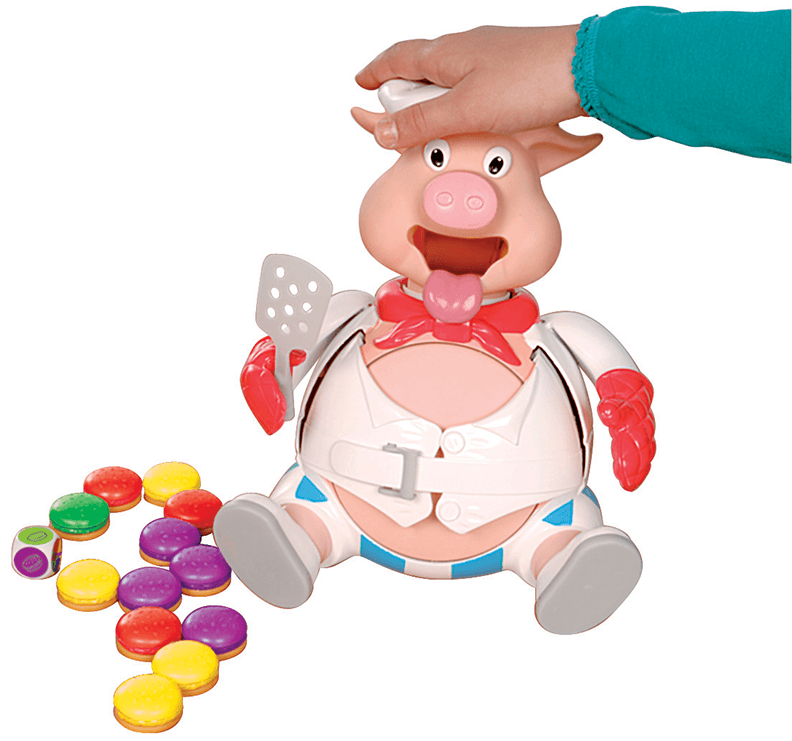 When the pig eats too much, his belt bursts open and his arms fly up!